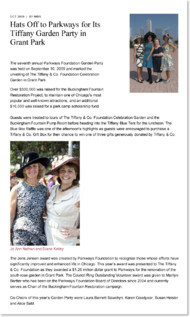 The seventh annual Parkways Foundation Garden Party was held on September 10, 2009 and marked the unveiling of The Tiffany & Co. Foundation Celebration Garden in Grant Park. Over $500,000 was raised for the Buckingham Fountain Restoration Project, to maintain one of Chicago's most popular and well-known attractions, and an additional $16,000 was raised for a park camp scholarship fund. 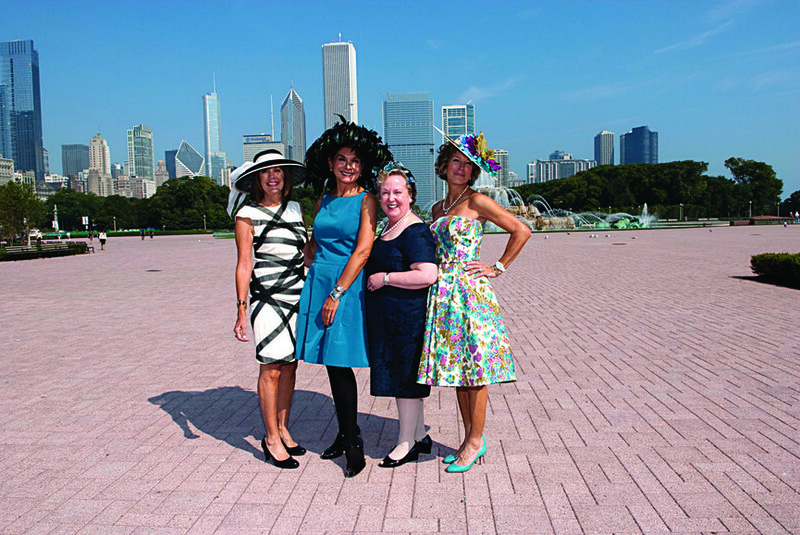 Guests were treated to tours of The Tiffany & Co. Foundation Celebration Garden and the Buckingham Fountain Pump Room before heading into the Tiffany Blue Tent for the luncheon. The Blue Box Raffle was one of the afternoon's highlights as guests were encouraged to purchase a Tiffany & Co. Gift Box for their chance to win one of three gifts generously donated by Tiffany & Co. The Jens Jensen award was created by Parkways Foundation to recognize those whose efforts have significantly improved and enhanced life in Chicago. This year's award was presented to The Tiffany & Co. Foundation as they awarded a $1.25 million dollar grant to Parkways for the renovation of the south rose garden in Grant Park. The Council Ring Outstanding Volunteer award was given to Marilyn Bartter who has been on the Parkways Foundation Board of Directors since 2004 and currently serves as Chair of the Buckingham Fountain Restoration campaign. 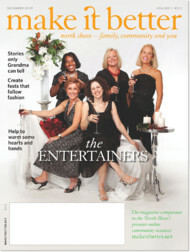 Co-Chairs of this year's Garden Party were Laura Barnett Sawchyn, Karen Goodyear, Susan Heisler and Alice Sabl.